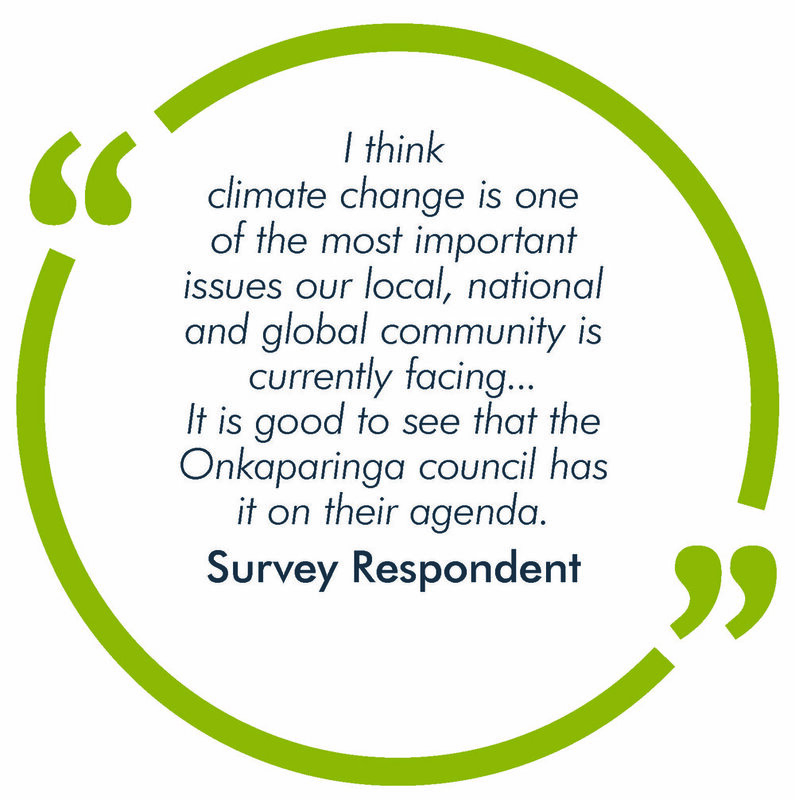 In late 2017, we developed a public survey to understand community attitudes, knowledge and behaviours relating to climate change so that we can deliver services aligned with community needs. The Cities of Onkaparinga, Marion and Holdfast Bay have all surveyed their communities and Mitcham plans to very soon. We asked our residents for their thoughts on climate change, and 636 people responded! They told us they want us to take action on climate change but many don't know what we're doing. So, we created this booklet to provide a snapshot of some of our work. It describes a range of projects that are responding to community needs around climate change. Survey questions were adapted from the CSIRO Attitudes to Climate Change Survey conducted annually for five years from 2010. This allows us to benchmark results against national averages and to track changes within southern Adelaide over time.